We love to trade trending stock, Centurion is one of them, it has been UP trending since 2013, we saw good volume and good price action yesterday. Our Smart money index also show some sign of Big player movement. 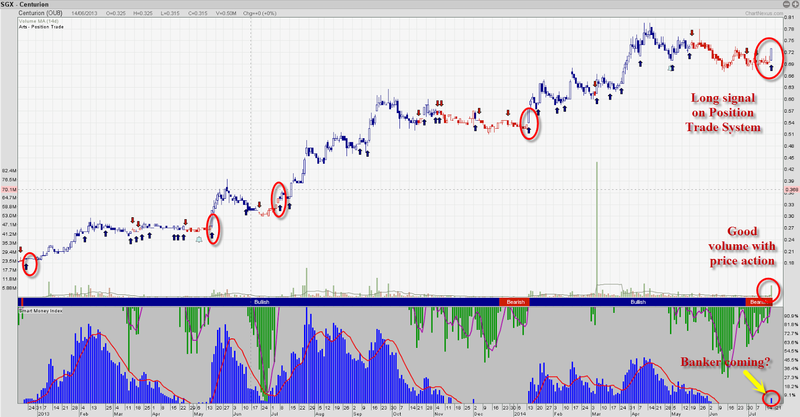 Today price action looks good too! Are you watching this stock?